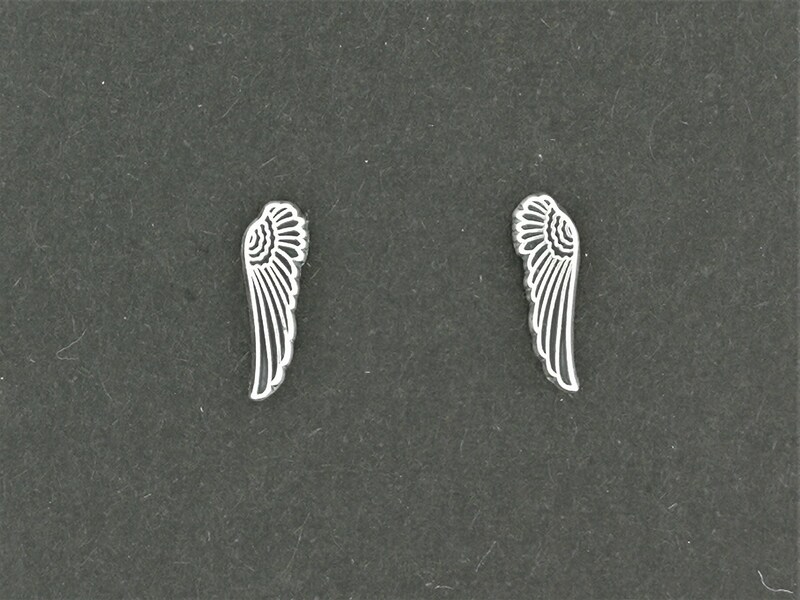 This is a pair of very tiny left and right wing stud earrings. They are 1cm long and 0.4cm wide with posts soldered on the back. They are a nice solid pair of earrings that are small enough for a secondary hole. Simple, but elegant, they are perfect for anyone.